Director, Mary Lee Kennedy has been an educator for over 30 years, but has been a dancer all her life. She began studying dance at age 4yrs. and continued through college on a dance scholarship, where she went on to graduate from Louisiana State University with a Bachelor’s Degree in Theatre Education. Her experience as a movement specialist has included 35 years owning a performing arts studio, 2 years teaching in public school, and 6 years serving as a physical education director of a private school. Mary Lee has also appeared in Richard Simmon’s Fitness videos, and designed “Jump Jammin Kids,” a children’s fitness program taught in private and parochial schools. She has served as mistress of ceremonies and choreographer for Peter Lowe’s International Motivation Seminars, and is certified by The Etiquette Institute of St. Louis in business and children’s etiquette consulting. She continues to train and certify teachers in “early childhood movement education” for in-house programs in private and parochial day schools, and serves as the Director of the Manners Pro Etiquette program, Dance Tree and Kennedy Dance Theatre. 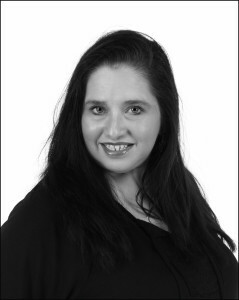 Pam Urban has over 20 years of dance experience in tap, ballet, and jazz, and has been an instructor for Kennedy Dance Theatre & Dance Tree for over 15 years. While in high school she was a Clear Lake High School Cheerleader for one year, and a Falcon Flair for two years. While on the drill team she performed at many exciting events including the Blue Bonnet Bowl held in Dallas. During her time with Dance Tree she was able to further her dance education by taking classes at Dance Masters of America. While teaching at Kennedy Dance Theatre she has taught in numerous day schools all over the Houston area, as well as special performing groups. One of these special performing groups was the Tappin’ Tots, who were invited to showcase their talents at several local events as well as performing in many dance competitions. She has also led a group of adults interested in religious interpretive dance, a Christian Liturgical Dance Class, who were asked to perform in numerous community events as well as churches in the surrounding Houston and Galveston area. She currently teaches Creative Dance and Intermediate classes at the studio, and is also the Office Manager. Pam resides in Pearland with her husband and two children. Milena Leben, Ballet Mistress, comes to us from Columbia, South Carolina, where she was the choreographer for the Columbia Classical Ballet. Ms. Leben trained at the Ballet Academy in Yugoslavia, under Russian instructors Nina Kirsonova and Marina Olenina. At the age of 12 she was awarded a scholarship to the Sadlers Ballet Academy (now called the Royal Ballet) in London. At age 13, she studied in Paris with Paris Opera Ballet Master Raymond Franchetti. She danced with principals from Paris Opera Tessa Boumont’s company and was accepted into the corps of Zagreb Opera Ballet at age 16, and was promoted to soloist after just one year. Four years later she became the Prima Ballerina with the Croatian National Theatre. Milena has danced principal roles in almost all the classical ballets including Swan Lake, The Sleeping Beauty, Romeo and Juliet, Giselle, Cinderella, and Don Quixote, among others. She has also danced Balanchine works with Una Kay, principal from American Ballet Theatre. She partnered with Marius Liepa and Peter Brouer of the Stuttgart-Munchen Ballet and many others. Milena has toured Europe, Japan, United States, Middle East, and India. She was awarded Yugoslavia’s Best Dancer of the Year 3 times, and her work as a choreographer has earned her a first prize award in the International Arts Festival in Venice and Prague and was televised throughout Europe. Her choreography for The Nutcracker was voted Best Performance of the Year 2000 in South Carolina, and she was awarded Best Choreographer in 2001. Her students have been awarded 1st and 2nd place in the New York Ballet competitions and received full scholarships to ABT and the Kirov Academy. Her choreography credits include: Giselle, The Nutcracker, Camelot, Madame Butterfly, La Fille Mal Garde, The King and I, Pied Piper, Bolero, Carmina Burana, and Evita. Ms. Milena was also Ballet Mistress for Royal Academy of Fine Arts for 6 years. She now serves as Ballet Mistress for KDT, teaching all of the Graded Division Ballet classes including Pointe, and also serves as the Director of the Ballet Jete’ Company. 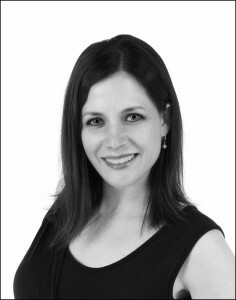 Jennifer Holbert has over 35 years of dance experience in tap, ballet and jazz. She continues her dance training by attending yearly dance conventions, and studying under master choreographers and instructors. 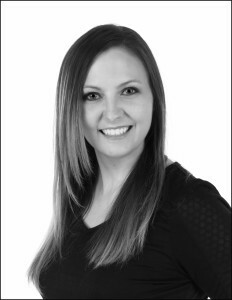 Jennifer has over 15 years as an instructor at KDT, and currently teaches Pre Dance, Creative Dance classes, school age combination classes, Teen Jazz/Ballet/Lyrical and Graded Jazz level 1 & 2. Jennifer is the Special Needs Director here at KDT, and has been featured on FOX News, The Houston Chronicle, and was featured in Dance Teacher Magazine. She is also the Director of KDT’s award winning performing groups and competition teams: Divas 1-3, Musical Theater and the KDT Jazz Company. Many of Jennifer’s performing groups who have attended several competitions, have taken home some of the highest possible. Jennifer resides in League City with her husband and has 4 beautiful daughters. Kyra has 20 years of dance training and performance experience, the first 15 starting at Kennedy Dance Theatre, and has been teaching for several years. Kyra developed her love of ballet dancing for Ballet Mistress Caryn Stoll, and began assisting in the graded level ballet classes at age 14. She also danced for two years with Houston International Ballet Company under Arkaidy Orohovsky and Kathleen Waltz. After graduating from high school, Kyra continued her dance training at Belhaven University in Jackson, Mississippi with a dance scholarship and graduated with her BFA in 2010. She studied ballet, pointe, modern, and jazz technique, choreography, dance history, kinesiology and much more under various instructors including Laura Morton, Stephen Wynne, Ravenna Tucker, Caleb Mitchell, Betsy McMillan, and Britta Wynne. During her time at Belhaven she had the opportunity to take classes and perform works by several guest artists such as Dorell Martin, Steve Rooks, Randall Flinn and Theara Ward. Kyra enjoys performing but her passion is choreography. Kyra has choreographed several pieces that have placed as regional champions at multiple competitions along with winning overall high point, choreography, and specialty awards. 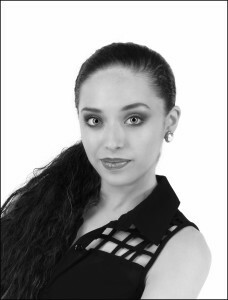 Kyra currently works in the office here at KDT and is the Director of Spirit in Motion Dance Ensemble. She also teaches ballet, jazz and contemporary in the graded division along with Intermediate Ballet and Lyrical. She enjoys sharing her passion for movement with children and teaching them the love of dance. Kyra resides in Pearland with her husband and son. Brandi Shallenberger’s dance career began at age 3 where her classical training in ballet, tap, jazz, lyrical, modern, and hip hop would lead to a love of the expression with the human body. The fundamentals of her dance education developed from Connolly Dance Arts, which led to numerous awards from various competitions. Some of these awards include Miss Dance Masters of America 2008 2nd Runner Up, High Interview Score, and High Tap Score Winner, 2005/2007 High Interview Score and High Tap Score Winner, and Dance Masters of America Scholarship Competition Tap Scholarship Winner 2004, 2006, 2008. She had the privilege of performing as a prelude for STOMP with the West Briar Dance Company, at the halftime show for the San Antonio Spurs with Intertia Dance Company from Westside High School, at Dance Houston with WyldStyl Dance Company, as well as many other performance opportunities. With a BFA in photography, a short though strong history of competitive skydiving, and a love for anything eccentric, Brandi certainly believes that life is not just to be lived fully, but danced all the way through. Brandi currently teaches Tap classes in the Graded Program along with Hip Hop. Kelsey Mueller has over 20 years of dance experience in tap, ballet, jazz, pointe, hip hop, musical theater, lyrical and contemporary. She started dance at Kennedy Dance Theatre when she was only 2 years old and has been here ever since. Kelsey has participated in many dance competitions and conventions receiving awards for group routines and solos. In 2005 Kelsey was voted as KDT’s Student of the Year and was awarded a summer dance scholarship. She currently teaches Pre Dance, Creative Dance classes, Musical Theater and Hippity Hop classes at the studio. She also directs the Divas performing groups as well as the Jazz Company Competition team. ​Along with being a part of the KDT staff, she has an Associates Degree in General Studies and has recently graduated from the University of Houston Clear Lake with a Bachelor’s Degree in Early Childhood Education. Kelsey continues to further her dance education by attending dance workshops and taking classes taught by special guest choreographers. 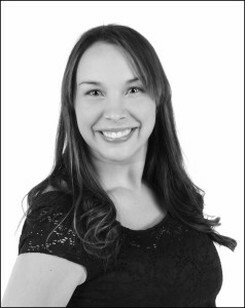 Stephanie Reyes serves as business manager of Dance Tree, where we send dance teachers to private and parochial schools and daycares in the Houston and surrounding area. Stephanie also serves as business manager Manners Pro program. Ingrid Kessler grew up in Miami, FL, but her roots are in Nicaragua, Puerto Rico. She speaks both Spanish and English fluently, and also has her Bachelor’s Degree in Nursing. Ingrid is a certified Zumba instructor licensed to teach Basics 1 and 2, Zumbatomic (Zumba for Kids), and Zumba Toning. Ingrid also substitute teaches cardio, kickboxing, step, and power flex at local gyms in the Clear Lake Area. Recently Ingrid was chosen to be a Zumba Jammer, one of only 150 chosen around the world to be a Zumba Fitness ambassador. ​Ingrid currently serves as the Director of the Zumba, Zumbatomic, & Zumba Toning program at KDT, and resides in Clear Lake with her husband and two children. 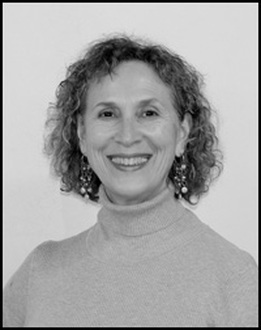 Camille Myers has over 30 years of dance experience, and has taught dance at KDT for more than 15 years. She began dancing at a very young age since her mother was a dance teacher and owned her own studio, Dance Express in Pleasanton, TX. At age 14, Camille began teaching her own classes and competing and winning dance competitions, such as Showtime and National Half-Time. She later became head officer of Pleasanton High School’s Pacesetters dance team. When she was 16, she made the All Star National Dance Team and performed at the European Indoor Soccer Championship in Vienna, Austria. While attending college at the University of Texas San Antonio, she continued her dance training and opened her own studio, Camille’s Christian Dance Academy. ​She currently is the Director of the KDT All Stars Dance Team. Camille resides in Nassau Bay with her husband and three beautiful daughters. Erica Carmona danced at Kennedy Dance Theatre for 13 years but has danced for a total of 16 years. She has been on the faculty at Kennedy Dance Theatre for 3 years, teaching Pre Dance, Creative Dance and Hip Hop. She is a founding member of the pre-professional company, Balet Jete', under the direction of Ballet Mistress, Milena Leben. Erica is currently enrolled in college. This is Erica's 3rd teaching at KDT. Cindi Fisher is originally from South Charleston, West Virginia. She has lived in the Clear Lake area since 1973. She began working in the environmental lab business in 1987 and worked for various laboratories including 16 years at the NASA Johnson Space Center. She has worked in sales, customer service, project management and is a certified asbestos fiber (PCM) and asbestos bulk (PLM) analyst. Cindi was the Laboratory Manager of Envirotest in Houston for just under three years and is currently an asbestos analyst at A&B Labs. Cindi has been a part of the Kennedy Dance Theatre family since 1999 when her daughter Alexis began dancing with Dance Tree; she has been an employee since 2011. She works in the front office evenings and Saturday mornings and also works all of the various performances and recitals for Kennedy Dance Theatre and Dance Tree. Cindi has 2 children, Scott and Alexis and a granddaughter, Andria. She currently resides in Clear Lake. Deborah Carmona was born and raised in Houston, Texas. She worked in various administrative positions and was in the accounting department at World Gym’s business office prior to becoming a stay at home Mom. She went on to home school all three of her children from elementary age all the way through high school. Deborah’s middle son started at Dance Tree at age five in 2003 and within the next few years all three of her children were dancing at Kennedy Dance Theatre. Deborah started working at KDT in the spring of 2011; she works in the front office in the evenings, Saturday mornings and helps out during the day whenever she is needed. She also works Kennedy Dance Theatre and Dance Tree performances and recitals. Deborah lives in Houston with her husband Johnny and their three children, Erica, Steven and Jeremy. Maria Ubal was born in Uruguay in 1978, and began taking dance classes at the age of 5. Maria discovered her true passion for Flamenco in 1996, attending the Casa de Andalucia dance school. From 1998 to 2008, she attended the internationally recognized Flamenco dance school Plazuela Andaluza. In 2002, Maria expanded her experience by dancing at many events such as theaters, shows, restaurants and private parties. Maria started to share her passion and love for Flamenco by teaching Flamenco to kids and adults in 2006. Maria's apprearances include performances with: Sevillanas, Tangos, Tanguillos, Bulerias, Alegrias, Caracoles and Fandangos. Kelly Felix began ballroom dance lessons as a high school student in Boston, MA. She was associated with Fred Astaire Dance Studios for over twenty years as a teacher, regional dance director for New York and Pennsylvania, and Assistant Dance Director. As a member of the national Dance Board, Kelly traveled and coached amateur and professional competitive dance couples. ​She has been seated on numerous judging panels including United States Ballroom Championships. Kelly has also performed as choreographed for television including History of Dance for PBS. She currently is the Director of the Ballroom/Salsa program here at KDT. April Waller has over 20 years of dance experience and has been with KDT for the past 15 years. She studied at San Jacinto College South where she performed and choreographed for many of their concerts and shows, including the American College Dance Festival, and received her Associate of Arts Degree in Dance in 2004. At the University of Houston she studied advanced jazz, ballet, and modern, and has attended numerous dance conventions and master classes including Broadway Dance Center’s Teacher Training workshop and Dance Olympus. ​April has taught almost every level of Creative Dance, School Age, and Intermediate classes, as well as teaching Jazz in the Graded Division, Adult Hip Hop, and served for five years as the Director of KDT’s Hip Hop Competition Teams. She currently assists in marketing KDT’s many performances, and handles advertisements and press releases as well as assisting with the studio’s website.